The “U Pinkasů” restaurant, founded by Jakub Pinkas in 1843, was the first restaurant in Prague to serve the bottom-fermented lager Pilsner Urquell on draught. 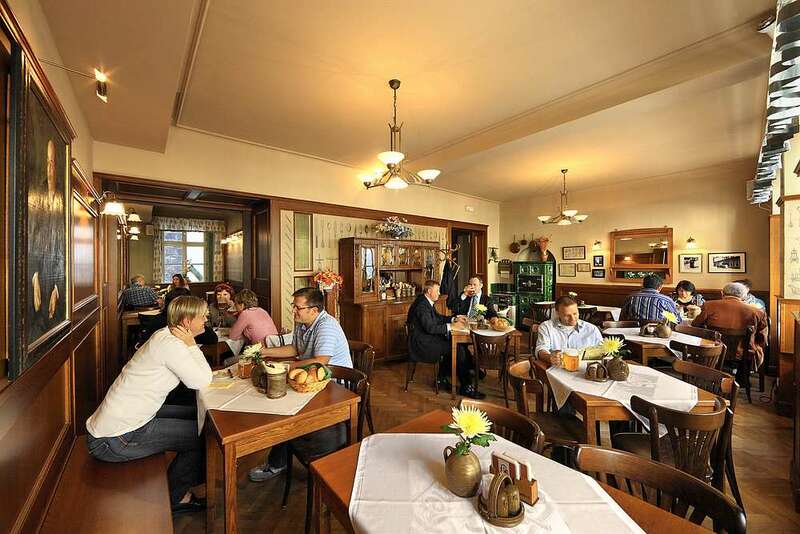 It has been one of the most popular Prague establishments throughout its more than 170 years of continuous operation. The restaurant offers traditional Czech dishes, using recipes dating back to its origins and is spread over all three floors of the building. Gothic garden, which was established in the adjacent grounds of the Franciscan garden.